What do the holidays mean to you? Well apparently to Krystal, it means 24 Krystals and Wings! We decided to play with the idea of how many combinations you can make with this meal. We also managed to only show product, bought no stock photos, and say Krystal 16 times in 15 seconds. Talk about a good deal. When it comes to Chili, there's only one question: is it soup, or is it stew? I also worked on some content for Krystal, including the most talked about post (internally, at least) for Krystal. There was a recipe on the box for a holiday stuffing using the 24 Krystals in the Steamer Box and a few fresh ingredients. When I asked if we had assets for this, people were baffled, "Why would anyone actually make this?" Well, if you put it on a box, shouldn't you at least try it? 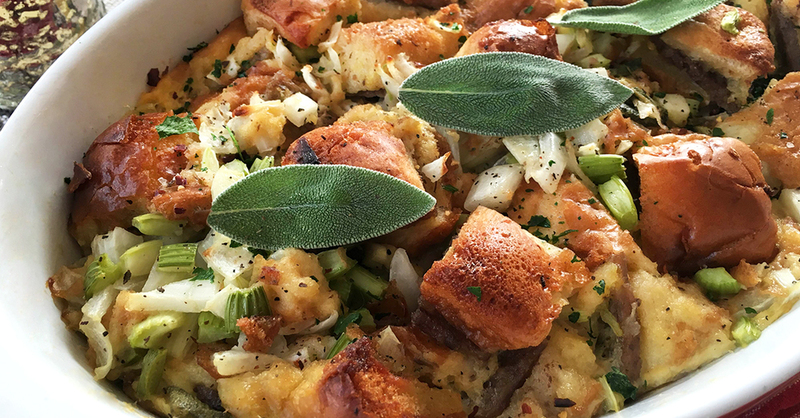 So I used my #foodie Instagram experience as a food stylist and made some actually good-tasting stuffing.